Barotac Nuevo (Spanish for: New Barotac) is a second-class municipality in the province of Iloilo, Philippines. According to the 2010 census, it has a population of 51,867 people. 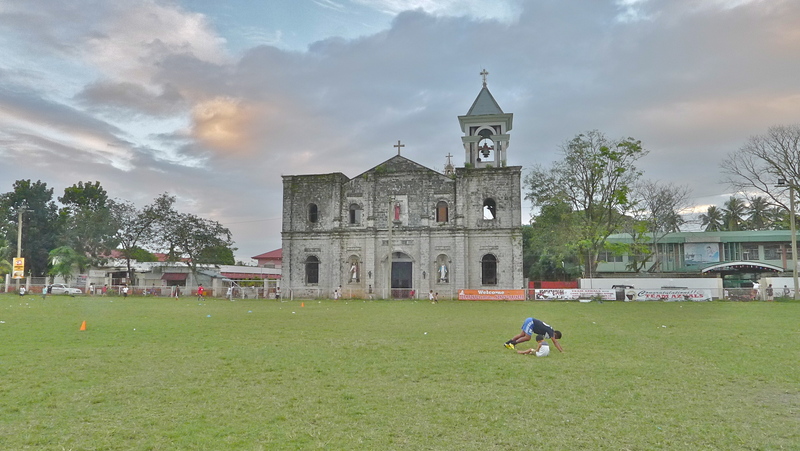 The town is approximately a one-hour car trip from the provincial capital of Iloilo City. The town is bordered by Pototan to the west, Dingle to the northwest, Anilao to the northeast, and Dumangas to the south. The name Barotac is from the Spanish word baro, which means mud, as well as the last syllables of tac and lutac. 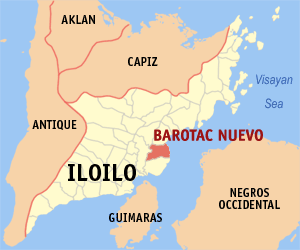 With nuevo, translated as new, added to the name, it distinguished it from another town called Barotac Viejo just north. According to local folklore, Barotac Nuevo was famous for its well-bred horses. There was once a horse called Tamasak, a pure white stallion known for its strength, in the stead of one Don Simon, and who was offered much if he could sell it to Manuel Gonzales de Aguilar, the Governor General of the country at that time. Don Simon eventually sold Tamasak. But not for money, but for title, and separation from the town of Dumangas, which it was just a smaller section thereof. The barrio once known as Mulatac now stands the town of Barotac Nuevo. Barotac Nuevo is a small town whose main industry and capital is in agriculture. The town church was built during the 16th century by Spanish missionaries. The town’s agricultural output includes rice, sugar cane, and spinach. Marine products such as milkfish and tilapia are harvested from local fisheries. There are usually three annual rice harvests, depending on the season. This town has excellent telecommunications facilities. Cellular companies provide sufficient coverage. Smart Communications has a cellsite in the middle of the town providing voice, texting and data services over the GSM network. Smart is likewise providing 3G and HSPA services, putting this town at par with European cities with its advance technology. This HSPA network can provide broadband internet connection with speeds up to 7.2 Mbit/s. Barotacnon can move around the town with their laptop connected to the internet. SmartBRO is also available for fixed internet service. There are also cell sites located at Brgy. Tiwi providing services not only at Brgy. Tiwi but also to the other barangays located far from the town.